The Centre for Cultural Relations – Caucasian House is one of the leading peace-building NGO in the Caucasus. 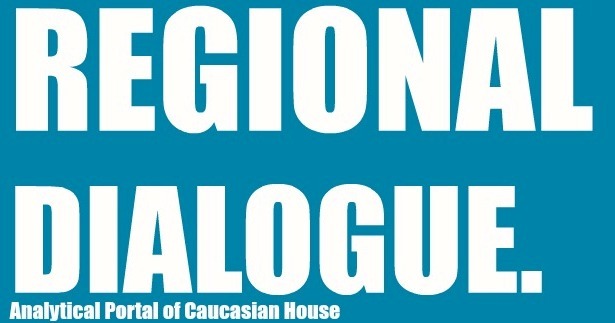 Caucasian House has been actively working for the last two decades on that direction through conducting international and regional peace conferences, providing outstanding policy and conflict analysis, organizing people to people meetings among the politicians, academicians and representatives of CSOs from the conflict zones across Caucasus. Caucasian House in 2014 started to implement the project Ukraine – out of Crisis through Dialogue. The goal of the project is twofold: on the one hand promoting transformation of the conflict in Ukraine through organizing face-to-face meetings among Ukrainian, Russian and European experts, civil society representatives and mid-career officials in Georgia, and on the other hand supporting Ukraine’s political and economic transformation by sharing Georgia’s experience. 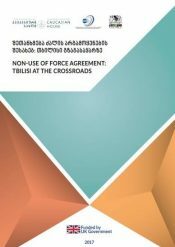 • Face-to-Face meetings – this component covers meetings of Russian, Ukrainian and European experts, including mid-career officials, representatives of academia, civil society and media. The major objectives of this component are as follow: a) to decrease confrontation and promote an increase of rational attitudes among participants of the project through constructive discussions and by promoting joint initiatives. 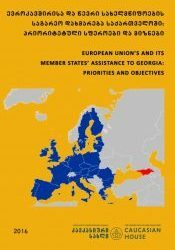 b) Encouraging project participants to produce joint policy documents, which will encompass thorough and relevant solutions to the problems existing in Ukraine. • Study trips in Georgia – The study trips include meetings of Ukrainian mid-career officials, representatives of academia, civil society and the media with their Georgian counterparts. This component encompasses meetings on both a governmental and civil society level. 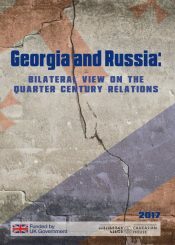 The study trips will cover two major dimensions: a) sharing Georgia’s experience with regards to transformation of the Georgian-Abkhaz/Georgian-South Ossetian conflicts and normalization process with Russia. 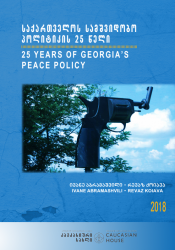 b) Introducing reforms in Georgia in the following spheres: reform of public administration (e.g. introducing public service halls and reform of the customs service), reform of the police and army, anti-corruption measures, reform of the judiciary, education and healthcare reform. This project is funded by the FCO/DFID/MOD Conflict Pool through the British Embassy in Ukraine.